After your order has shipped, you should receive an automated email from the shipping service provider. Or you can find the tracking number under “My Account/Manage Account” and then under “Completed.” Find your specific order and then click “View Order Details.” The tracking information will be on the bottom of the page. Please email customerservice@saddlersrow.com with your order information and we will do our best to assist you. Sometimes our suppliers are unable to predict when they will be receiving a re-stock of a specific item. We will do our best to keep you updated on your order status. As soon as we have the item(s) back in stock, we will be able to ship to you. Please email customerservice@saddlersrow.com if you have any further questions. 1) Click “Create An Account” at the top of the home page. 2) Enter your shipping details, email address, create your password, and fill out the security question. Click “My account” and then “Your Account Details” for an overview of your account. From that page, you can edit your personal information. For orders over $100, shipping is free. 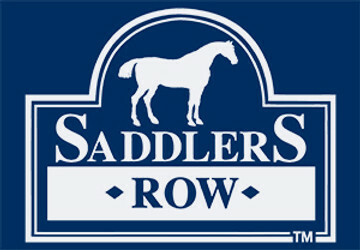 All Saddles ordered from Saddlers Row are assessed a $44.90 fee for shipping. Click “Forgot Your Password?” on the bottom right of the Login page. Enter the email address associated with your Saddlers Row account and click the submit button. Instructions on how to reset your password will be emailed to you. We will happily accept returns of merchandise within 30 days of purchase for a full refund, less the cost of shipping. Orders that were processed with free shipping will be refunded minus a $9.95 shipping fee. Exchanges will be charged a $9.95 shipping fee. The returned merchandise must, of course, be in new condition with its original packaging. Please note that we have special requirements with regard to the trial and sales of new and used saddles (see Saddle Trial Policies). Sale item returns will be restricted to terms detailed at the time of purchase. Please email customerservice@saddlersrow.com for further assistance with returns. If you feel that you have received the wrong product in your order, please email customerservice@saddlersrow.com as soon as possible. We do our best to ship your order the same day, but some orders may ship the next business day. Please email customerservice@saddlersrow.com if you have any questions about your order status. Click “View Order Status” to see your order history. You may compare your order history on our website, with your financial records. If you have further questions or concerns, please email customerservice@saddlersrow.com for further assistance. Your credit card is charged immediately upon completing your purchase.